Drill Bit, Square, #2 x 2-In. Drill Bit, Star, T15, 2-In. Drill Bit, Star, T20, 2-In. Drill Bit, Star, T25, 2-In. Timberlok Wood Screws, 4-In., 12-Pk. Timberlok Wood Screws, 6-In., 12-Pk. Timberlok Wood Screws, 8-In., 12-Pk. Timberlok Wood Screws, 10-In., 12-Pk. Headlok Wood Screws, 4.5-In., 12-Pk. 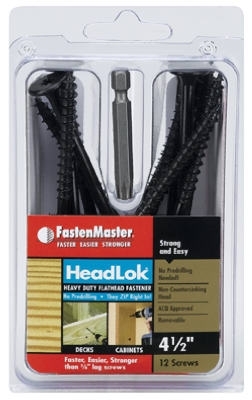 Headlok Wood Screws, 6-In., 50-Pk. 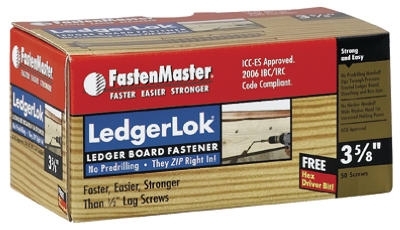 Ledgerlok Wood Screws, 5-In., 50-Pk. 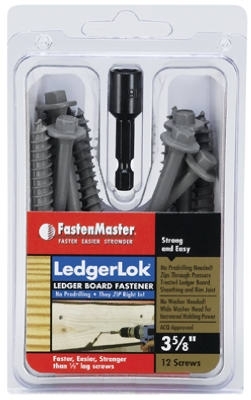 Ledgerlok Wood Screws, 3-5/8-In., 12-Pk. Headlok Wood Screws, 2-7/8-In., 50-Pk. 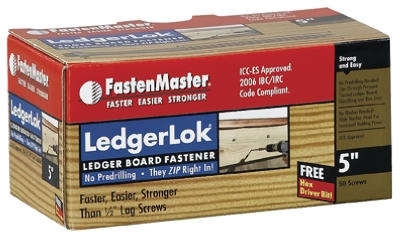 Ledgerlok Wood Screws, 3-5/8-In., 50-Pk. Headlok Wood Screws, 6-In., 12-Pk. 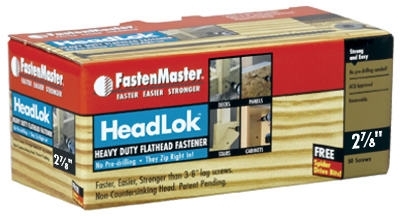 Headlok Wood Screws, 4.5-In., 50-Pk.